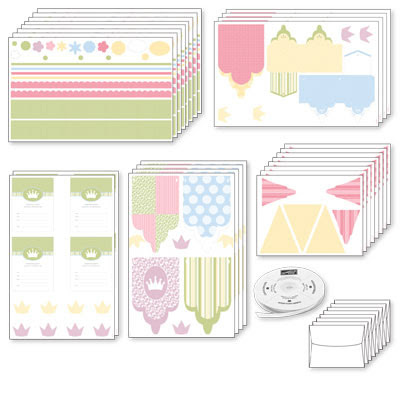 Welcome to another great "Deals of the Week" promotion from Stampin Up!... and this time it's for the PARTY KITS! Hoist the Jolly Roger and get ready to have a swashbuckling good time! 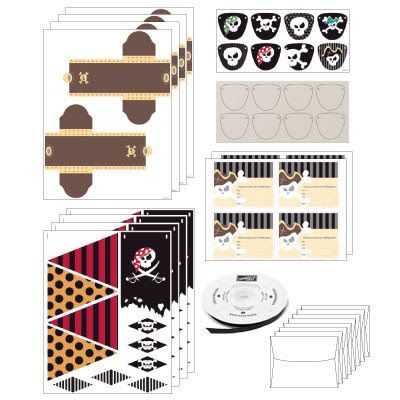 Gather your little buccaneer and his or her mateys for a pirate party of the finest sort, complete with invitations, decorations, and eye patches to create and wear. Let me also share one of the cards we`re making on Wednesday for the Medallion Card class -- I was hugely inspired by Tara Bazata`s fabulous share at Founders Circle this past September and couldn`t wait to make it with my peeps! This card uses the Brushed Gold cardstock for some really pretty shine and a nice sturdy base to the card. Canadian? Be sure to sign up for my FREE Stampin' Up! e-Newsletter to receive coupons, stamping tips, ideas and subscriber-only contests! your medallion cards are just GR8!